Life hasn’t been the same since we invested in a tin of blackboard paint. It’s fabulous stuff and we’ve been painting everything in sight. Add a box of chalk plus a damp cloth and it’s guaranteed entertainment for hours. 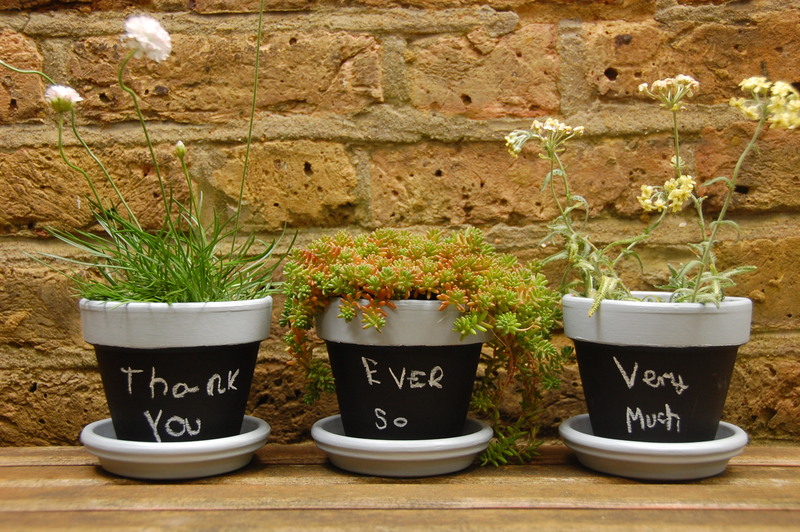 A few weeks ago we painted some inexpensive terracotta plant pots for the school gardening club fundraising stall. We included a piece of chalk with each one and they all sold, making a nice profit. When the blackboard paint is dry, remove the masking tape. Paint the rim of the pot with a contrasting colour of acrylic paint, extending the paint just inside the pot. Paint the pot saucer (if you have one) the same colour. Again, two coats look best if you have the time. Blackboard and acrylic paints can stain. 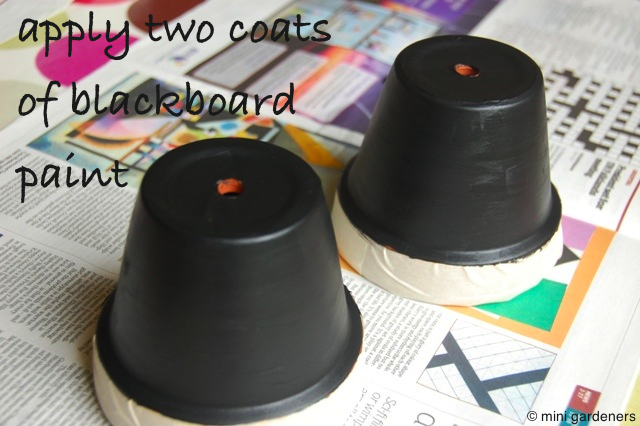 For younger children you could apply the blackboard paint while they’re sleeping and get them to paint the rim of the pot. You can use washable paints instead of acrylic – the finish isn’t as good but your house and clothes might thank you. 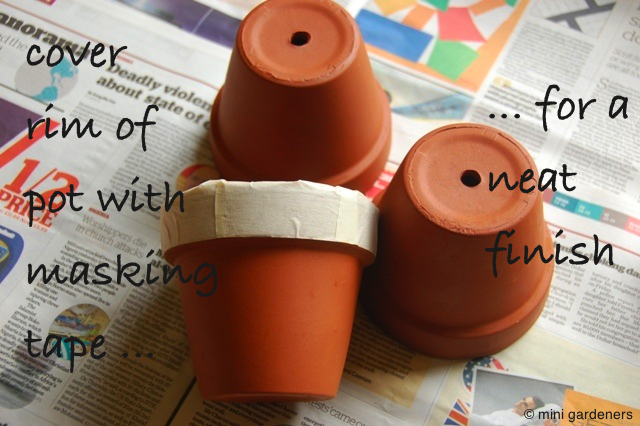 Add a layer of clear varnish to the dried washable paint if the pots are destined for outside. Categories: containers and pots, school gardening | Permalink.